Today's Daily Deal! Save 50% on the Men's Running MARISLP1, now Only $34.99 + $1 Shipping with code DOLLARSHIP at JoesNewBalanceOutlet.com! Offer valid Friday, 10/05. Sophisticated style meets ultra-soft Fresh Foam cushioning in our Fresh Foam Arishi men's running shoe. An effortless addition to work or play, this versatile kick delivers a smooth ride to match its smooth good looks. 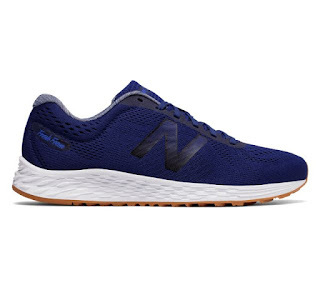 Our NB Response 1.0 adds an extra layer of comfort.